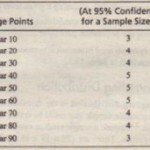 The sampling distribution is the distribution of the values of a sample statistic computed for each possible sample that could be drawn from the target population under a specified sampling plan.2 Suppose a simple random sample of five hospitals is to be drawn from a population of 20 hospitals, There are (20 x 19 x 18 x 17 x 16)/(1 x 2 x 3 x 4 x 5). or 15.504 different. samples of size 5 that can be drawn. The relative frequency distribution of the values of the mean of these 15,504 different samples would specify the sampling distribution of the mean. The sampling distribution of the mean is ” normal distribution Strictly speaking the sampling distribution of a proportion is a binomial. 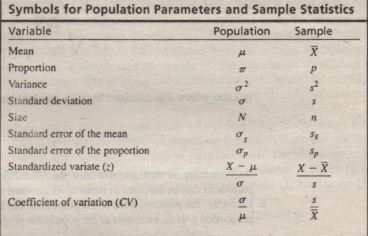 However, for large samples (n =10 or more), it can be approximated by the normal distribution. 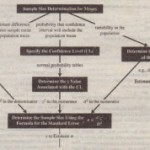 Assuming no measurement error, the reliability of an estimate of a population parameter can be assessed in terms of its standard error. For example, the areas under one side of the curve between the mean and points that have z values of 1.0,2.0, and 3.0 are, respectively, 0.3413, 0.4772, and 0.4986.